Walking into your favorite local quilt shop and seeing your pattern hanging on the display wall would certainly be a thrill. 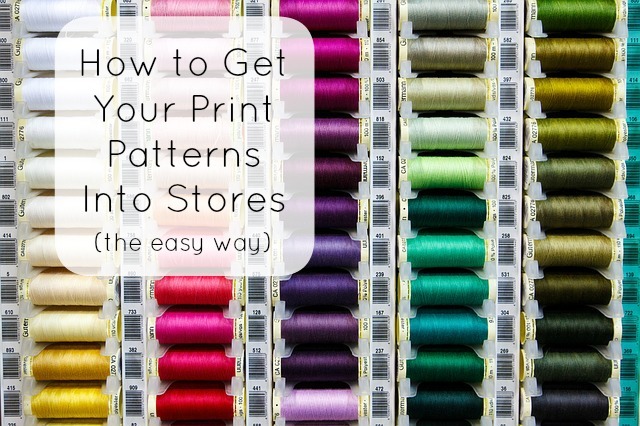 For many sewing pattern designers, the idea of selling print patterns is very appealing. It means your designs will be sold all over the country and bought by customers who might not ever read a sewing blog or shop online. Print patterns mean gaining a whole new audience. It’s great exposure. Producing print patterns is daunting, though. 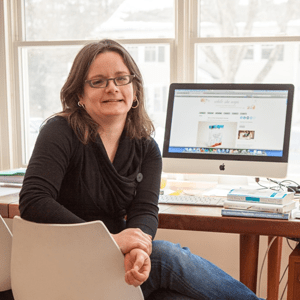 You’ve got to master page layout, vectorizing templates, and creating illustrations. Then there’s technical editing and copyediting. You’ll need to purchase a bar code for each pattern, then source cost effective printing. Once you’ve got your patterns in hand, you have to collate, fold, and bag them yourself. To get your patterns in stores you’ll need to get picked up by a distributor, and then pack and ship boxes of patterns to them. The lead-time between when you design a pattern and when it’s actually available in stores can be several months or more. It’s a lot of work! In Australia there’s a popular innovation on print patterns that caught my eye: creative cards. Where a print pattern is typically several pages folded and bagged, a creative card is a single sturdy piece of glossy cardstock printed double-sided. 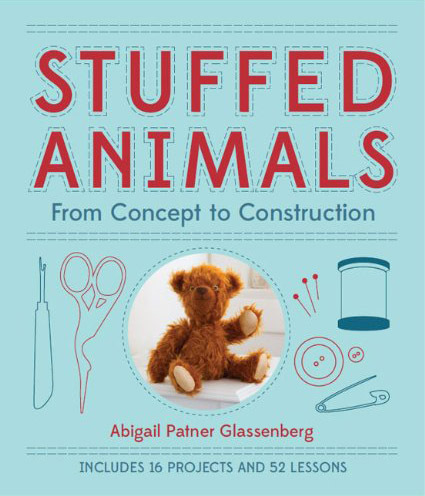 It’s got instructions and templates, plus a color photo of the finished project, and it sells at an attractive low price point that makes it a great add-on purchase for shoppers. A sampling of the creative cards now available through Creative Abundance. A print pattern in Australia typically sells for $16-$20, while a creative card is just $5. Creative cards are displayed at the checkout counter in Australian quilt shops and have become a very popular product. 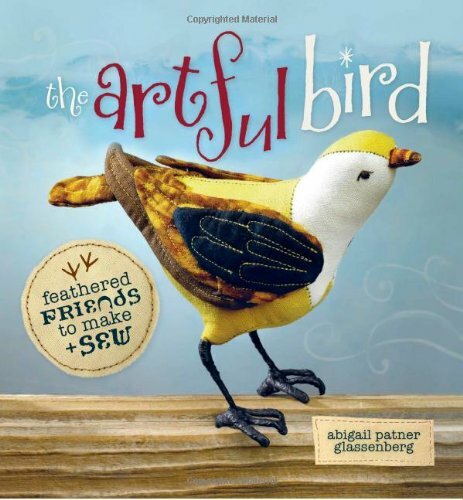 The leading Australian pattern distributor, Creative Abundance, carries several dozen in their catalog. Australian designers Jodie Carlton and Claire Gee have been selling pattern cards through Creative Abundance for a year now and say the cards do very well, some months surpassing their standard-sized print patterns in sales volume. In the U.S. mini patterns are becoming more popular as well. Several designers offer lower price point mini patterns, including Valorie Wells, Heather Bailey, Jeni Baker, Oliver + S, and Patty Young. Although mini patterns in the U.S. are less expensive than a full-sized pattern, they aren’t quite as low in price, and they aren’t necessarily as single page card. Still, I see a trend forming. I really like the idea of a pattern printed on a card. They’re easy to kit and great for workshops and they’re a fun add-on purchase for customers. Pattern cards are the type of thing you might pick up while you’re at the quilt shop for something else and then tuck away for a rainy day, or just to have fun with. Even though pattern cards are an attractive concept, offering a nice product at a great price, creating them is almost as challenging as creating standard-sized patterns: layout, editing, printing, and distribution are still fairly big hurdles to jump. What if there was a way to create a pattern card and get national distribution without having to take all of those steps? Checker Distributors is one of the biggest U.S. distribution companies of quilting and sewing products. When you walk into your local quilt shop the merchandise you see was almost all purchased from a distributor’s catalog and most likely that distributor was Checker. 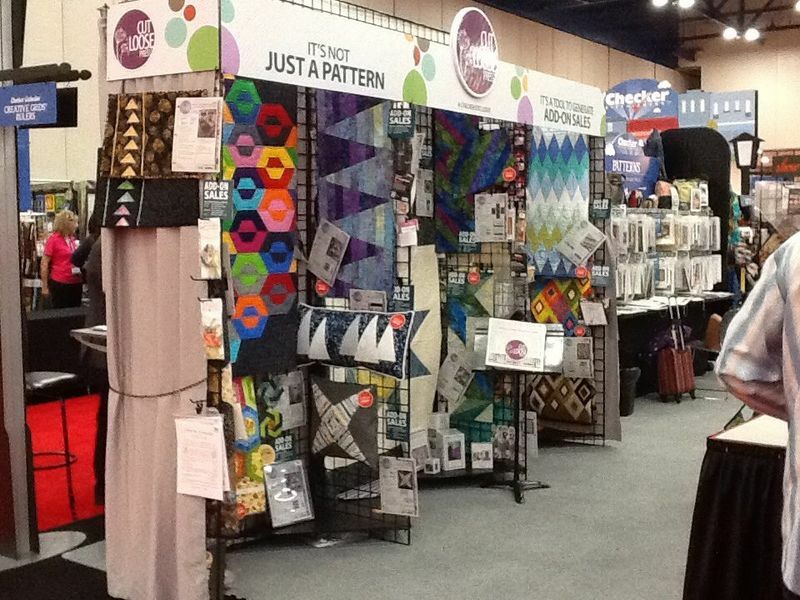 They’ve got a huge booth at Quilt Market and carry patterns by all of the big name indie designers. Cut Loose Press patterns in the Checker Booth at Quilt Market. About a year ago Checker opened a print-on-demand pattern card division called Cut Loose Press. Independent designers work with Checker to print and distribute pattern cards for sewing projects. These cards are then sold in brick-and-mortar stores all over the country. Checker handles all of the layout, editing, printing, packing and distribution and designers earn a royalty on each one that sells. A sampling of the pattern cards available now through Cut Loose Press. Cut Loose Press cards are all print-on-demand. When a store places an order that particular card is printed and sent out. They are the standard 8.5” x 11” size and are printed on 80 lb. heavy weight paper, in color, on specially treated paper that inhibits photocopying (the paper turns black when copied). Last week I reached out to Alyssa McCoy, pattern buyer at Checker, and Kathleen Gill, Project Manager for Cut Loose Press, to find out more. They encourage indie designers to submit projects for consideration. Submissions are open to everyone, including international designers. 2. Wait a week. A review committee at Checker meets weekly to approve projects. If your project gets approved, they’ll contact you and send you a contract to sign. When you print a pattern with Cut Loose Press you give Checker exclusive rights to that pattern, meaning you can’t sell it anywhere else. But because Cut Loose is a print-on-demand service, you can pull your pattern at any time. If sales aren’t doing as well as you’d like, let Checker know that you’d like to discontinue it and then you’re free to sell that pattern in a different way. 3. Fill out an online template. Checker will provide you with a straightforward online form to upload your instructions, beauty shots, diagrams or step-by-step photos, and templates. Checker staff will edit the pattern. Then it goes is up on Checker’s online catalogue, usually within two weeks from submission. That’s a short lead-time! 4. Your pattern is in stores. Checker sells the cards to the quilt shops for $1.75 and then the shops sell them retail for a nice low price point of $3.49 retail. For every pattern card that sells you’ll receive a .25 royalty. Although .25 may seem like a small percentage for the designer (you’ll need to sell 1,000 in order to make $250), when you figure in the costs of printing, collating, bagging, and shipping print patterns yourself, plus lead time, it really isn’t much different from the $3 you’d get for a $13 print pattern. 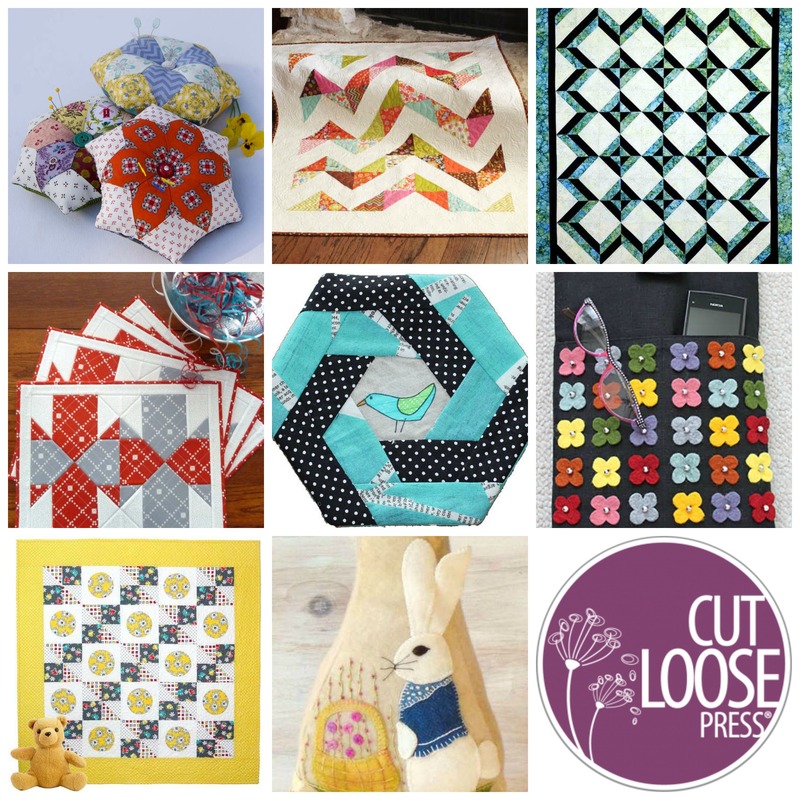 Right now Cut Loose Press has 163 pattern cards available and, according to Alyssa McCoy, all of the designers involved have been satisfied. In fact, two of Checker’s top selling patterns are Cut Loose Press patterns. Not every pattern has to be for a small-scale project. A top-selling Cut Loose Press pattern right now is Tropical Blues, a pattern for a king-sized quilt. Integral to Checker’s mission is to keep brick-and-mortar quilt shops and fabric stores alive. That’s a mission that I support. Cut Loose Press provides an exciting opportunity for indie pattern designers to get their work into those stores. 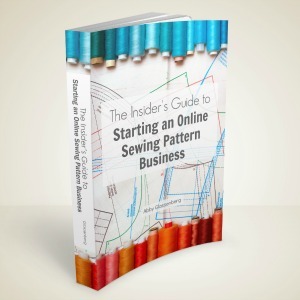 In order to make a living as a pattern designer it’s vital to have multiple income streams. Perhaps Cut Loose Press should be one of them. Great info Abby. Cut Loose Press was pitched to me last year and I declined. I decided to wait it out a bit to see how things were selling for them before jumping it. I think CLP is a brilliant idea and a great entry point for a pattern designer who hasn’t taken the plunge into self publishing printed patterns yet. The upsides: Exposure to a new audience, Checker covers all of the “headaches” of layout, printing, packing, shipping, etc as you mention. Those things are not to be overlooked. 1) You are only carried by one distributor. Granted, Checker is huge and reputable, but I sell my patterns through 4 other distributors in addition to Checker. You get broader exposure with multiple outlets. 2) It build’s Checker’s brand before it builds yours. The designer’s name/logo is featured on the packaging, but it’s definitely second fiddle to Checker’s name/logo. I understand why this is and don’t fault them, but will the customer really go back for more of YOUR patterns vs. Cut Loose Press patterns in general? 3) I think the lower retail price point is a double edged sword. Certainly attractive to customers, but in a retail situation where prices for a sewing pattern are driven lower and lower I feel like it lowers the perceived value and the tolerance of what a customer thinks a pattern “should” cost. 4) I disagree with your statement about the $.25 royalty being not “much different” than making $3 on a pattern that you fully self publish. Once the upfront work is done (see “headaches” above) and your systems are in place, packing and shipping 1000 patterns for $3000 profit suits my bottom line MUCH more than $250, PLUS I am also able to sell my patterns directly as PDF’s in my shop simultaneously. Double duty sales! That said, I really appreciate you (re)shining a light on this option. It’s no secret that printed pattern sales are declining for most indie designers (due to economy, more competition, prevalence of PDF’s etc). I’m tempted to do a test pattern with Cut Loose just to see what happens. Like you said, you gotta have many income streams to make it all work! To follow up what Betz said on Twitter, this is going to work best with patterns that require measurements rather than templates/pattern pieces, i.e. quilt patterns with square or rectangular cuts, and perhaps blocks that just repeat. My bag patterns would never work on a postcard. That being said, I’m not sure I would buy a pattern on a postcard. I do own several (4-5) of the ‘little’ Jaybird patterns, but these are not on a postcard, I believe it’s a 8″ x 10″ sheet folded down to maybe 4.5″ x 5.5″. I like that they are cheaper ($6.50 retail), but still the instruction you would expect from Jaybird. A postcard pattern seems a bit more of a promotional item to me, than an item that would be sold in a shop or that would help build someone’s brand over the long term, but of course that is just my opinion! Just to be clear, the Cut Loose Press patterns are printed on 8.5″ x 11″ paper. Thank you so much for sharing your experiences here. I’ve never created a print pattern to sell so I really value hearing from someone with many years of experience doing so. I wonder if you might be able to share an approximate amount spend on printing, bags, and shipping for a run of 1,000 print patterns. That might help us get a clearer picture of how much a print pattern nets versus a Cut Loose Press pattern. Cut Loose Press has bag patterns and many patterns with templates. I think it’s interesting that the top seller that you linked to is a pattern that accompanies a certain ruler. So they don’t have to include templates for those. I think it’s an interesting approach that might be good for a first time designer. What a great post, Abby! I’ve been really intrigued by the growing popularity of pattern cards and other small-format/lower-priced printed patterns. Cut Loose Press seems like a brilliant move on Checker’s part to meet the growing demand for this type of product while also catering to indie designers who might be venturing into the world of printed patterns for the first time. I’m especially interested in their print-on-demand model, since commercial printers usually require large print runs and, consequently, considerable financial outlay/risk. I wonder if print-on-demand could work for sewing/crafting patterns in a larger way? That’s tough. Most designers I know print offset which typically requires 1000 pc mins. I use a digital printer with smaller minimums but more cost per piece. I try to order about 300 of a pattern at a time and it’s more cost effective if I order more than one style at a time. It’s a complicated cost matrix that varies with each order. When I say I make a ballpark profit of $3/pattern (sold to a distributor, wholesale is more) I’ve already taken out the cost of printing, bags, shipping, etc. My printer will even “kit” the patterns for me so I don’t have the labor of stuffing them. In other words, the $3 is what’s leftover after I pay for those other things. Of course you have to get really good at guessing how much to print. Any inventory you have sitting in your basement goes against your bottom line. The real question I want to ask CLP is, how many patterns of one style do they sell on average per month? 1000? 10,000? When the numbers are high the scale tips. As a customer I would buy print outs from independent sellers. Some pdf patterns are not so good as they might be because of the printing and fitting together you need to do. If I had half the work done, or even all of it if they fitted onto a single page, I would be happy to purchase as a printed pattern – just on normal copy paper. Presumably you don’t need a bar code for that, just if it is to go into mainstream stores. However, I think if I am in a mainstream store, I am going to go for competitively priced patterns from the main sellers. Many people actually have issues or difficulties with their printers too, so no doubt would like the option of a printed out version. Nothing too fancy required. Sewing patterns have got very expensive compared to the price they used to be. I regularly have a sharp intake of breath. They sometimes make the cost prohibitive, which never used to be the case. In some instances, a pattern to make a dress now costs twice the cost of what I would spend when buying one and then you have to buy fabric etc., again not cheap. That’s why I am attracted to pdf patterns. Too expensive and I go back to making everything myself, as I did as a teenager (there is nothing like an incentive). I think prices have gone up sky high, not come down at all! 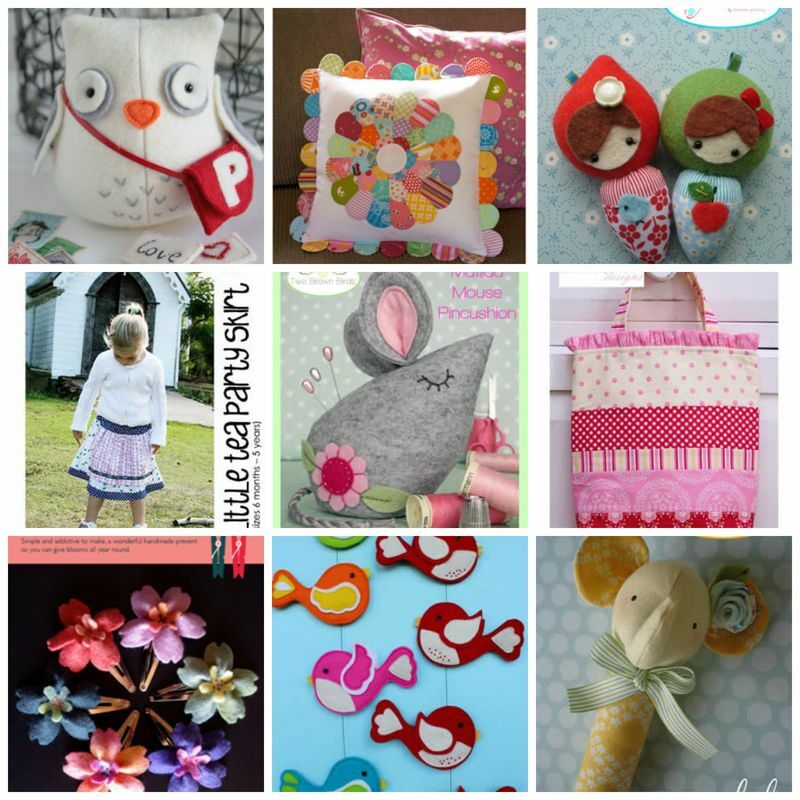 To me handmade is about being small not competing in mass markets commercially. I actually want to be a step removed from that, as a seller and as a buyer. I know other people feel differently about that. To me once you are in a big store then you lose your ‘artisan’ status. That may not be fair of me, but I think that’s how I feel. Buying direct is also the only way I am going to pay higher prices – and when I know it all goes to the pattern creator. It may sound bad, but a name on a pattern means little compared to the actual pattern. So in a big store I will see you as both the same instead of a being select product. For instance I am not at all interested in a Kath Kidston design sold in a big store and would not be happy to pay for the name, when the pattern is for a simple tote bag. I would rather pay someone on etsy for their version at the same price, or get one in the high street pattern store for half the price, from an anonymous designer working for Simplicity Patterns. The designer label thing doesn’t work for me. Everything is designed by someone! incidentally, I wonder if you know the answer to my question. I’ve googled but can’t find an answer. When someone has a ‘buy me a coffee’ button on a blog, does money donated have to be declared as income for tax purposes – or is it a gift? This whole area is intriguing me as some people who say they don’t/won’t charge for patterns, ask for donations. Betz, would you be willing to share what printer you use? I’m really intrigued by this as a way to get the broader exposure you can get by being in the brick and mortar shops instead of just online. It might be worth the low pay for the exposure – I just need more info. What does the packaging look like? The branding? Will the pattern have my website in it? Do they look for full-sized templates or do consumers have to enlarge them? I’d love to have a better idea of the level of difficulty/detail of the patterns they print. I just went to their site to look at the patterns available. I wish they were a little more searchable – I’m not even sure that what I’m looking at is just Cut Loose Press. Lots of questions – and definitely worth doing some more digging. Two fantastic links! Thank you so much for sharing these. I’d be happy to share the printer with you (or anyone else!). Please email me at betz(at)betzwhite(dot)com and I can fill you in. I am a designer of Cut Loose Patterns and I am more than pleased with my arrangement. I also design rulers for Creative Grids® and all of my CLP patters are meant to be used one of my rulers. I have rulers for Log Cabin Trim Too, Log Cabin Trim Tool Two, Pineapple Trim Tool and Hexagon Trim Tool. I will have another ruler introduced at the Spring Quilt Market in Pittsburgh and I am already making CLP patterns for the new ruler. The price point at retail makes these patterns very attractive to the retail customer, making up in volume for a larger profit per pattern. CLP patterns have been very successful for me and the .25 payment (mentioned in one of the previous posts) is more than enough compensation. I don’t have to print, stock product, ship product, etc. I make the quilt put the pattern together using their pattern template and I am done. As a designer I don’t want spend my time marketing, printing and shipping, I want to spend my time designing and making new quilts. I have more ideas in my head than I will ever have time to sew, so having all of the nitty gritty of getting that pattern to market. CLP does all of that for me, and they are great to work with. Another bonus, the patterns are printed so they cannot be copied and shared. If the purchaser tries to copy a pattern they end up with a black piece of paper. Thanks for sharing! Sounds similar to submitting projects for craft magazines. I’m definitely going to look into this when I get a bit more time and inspiration for smaller projects! Love your podcasts! I am a avid listener! I love this idea…as a former owner of a brick and mortar shop, competing with pdf vs printed is a issue. We sold a lot of children patterns., and I wish they had these cards you could sell for that purpose. Buy the card…and the fabric…. and go home and print it. Wonder if these will ever be developed for garments. 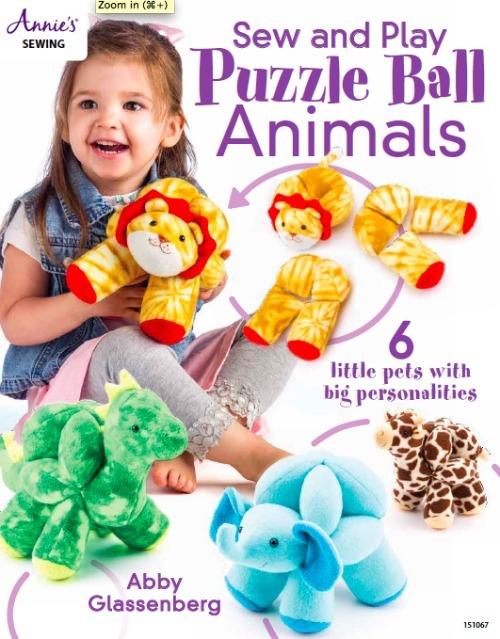 There are so many cute patterns out there for pdf’s! I still work at this darling shop and want it to thrive! Thanks always for such good info.